The older they are, the trickier they get. French bicycles. Quirky frames, oddly sized components, backward threading. Generally speaking, French bicycles and French parts are a cantankerous lot. 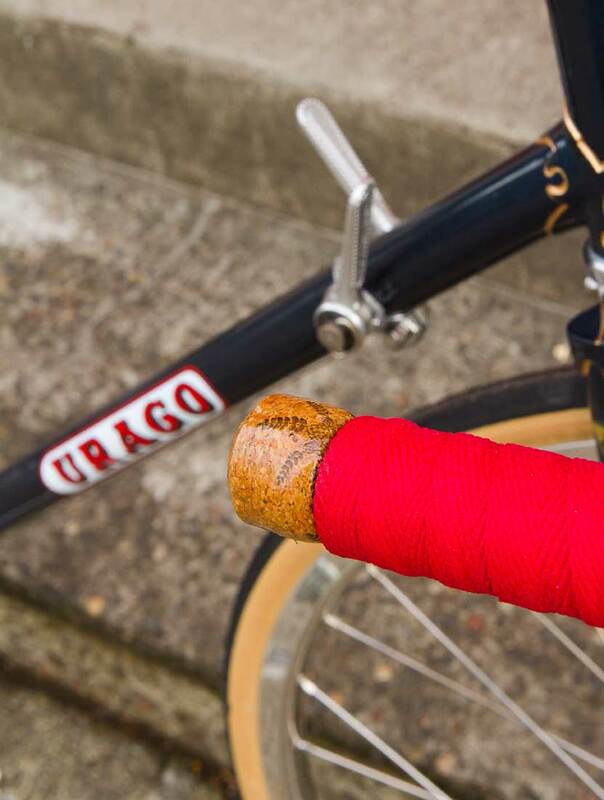 But, this Urago was a quite bit older than the French frames from the 80’s I have rehabilitated in the past. The age made component sourcing a bit more challenging and the “Frenchy’ness” of the experience even more pronounced. There was so much to like when I acquired the Urago. All original. Original owner. All French. Although, the frame had been repainted sometime in the 80’s. And the drivetrain was a little odd (more below). And the headbadge was missing (now recreated). But, the owner had stories of rides and clearly had taken good care of the machine. After the purchase and breakdown, the true breadth of the project started taking shape. 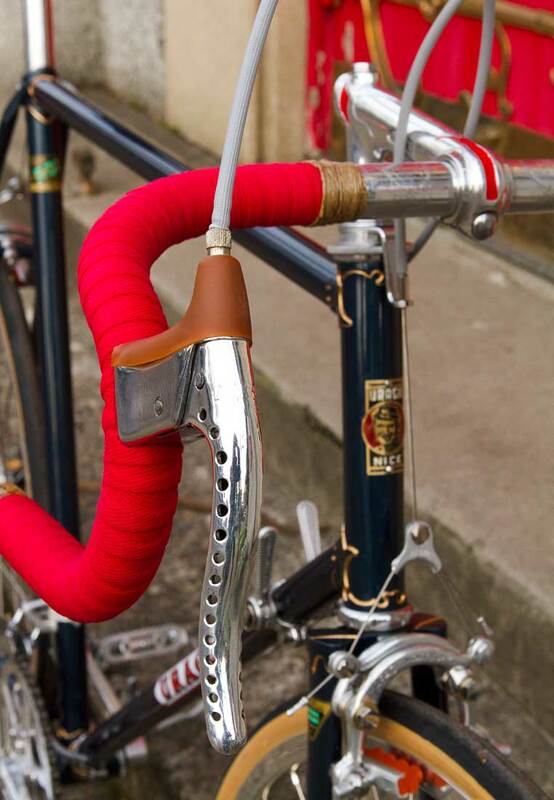 Pivo made stems ranging from the 60’s through the mid-70’s. Some were made of cast aluminum some were forged aluminum. Some were very well while others were dangerous junk. The most common failure point happened as a crack at the top of the expander split in the quill. The crack would continue around the quill until the stem broke off. And that was what one would call catastrophic failure. This had to be remedied. 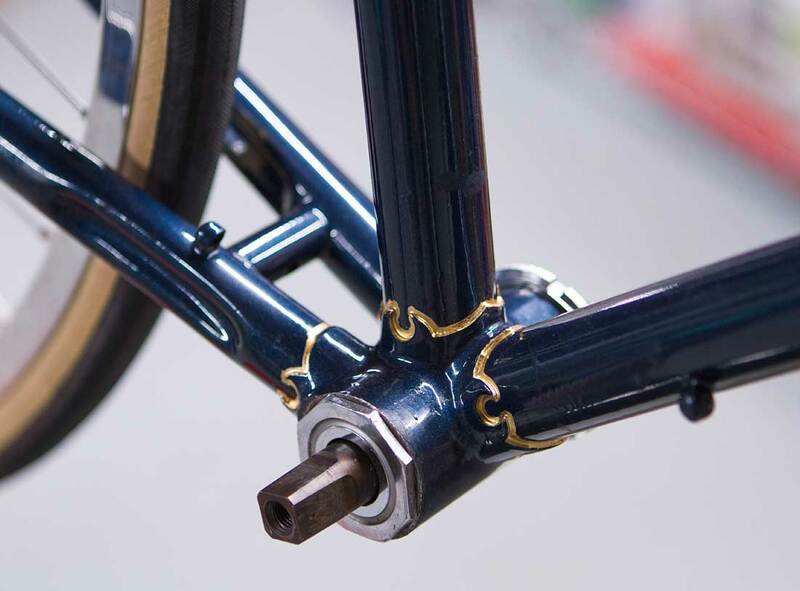 A handful of mid to higher-end French stems exists but an alloy Philippe seemed to be the best choice. The coveted Mil Remo dropped into my lap although it took polishing and painting handwork to bring out the true beauty. 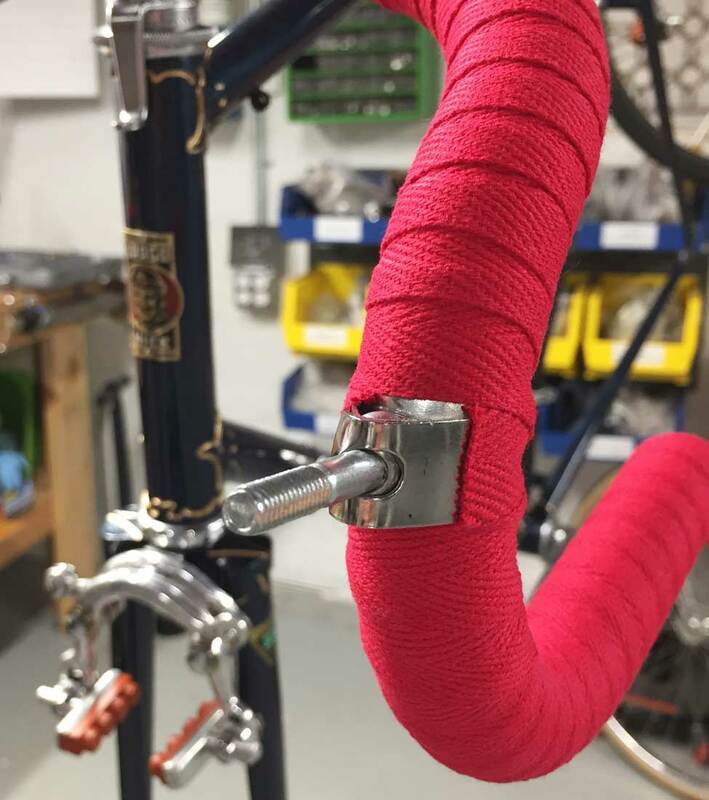 Taping the bars for Mafac brake levers are different than more modern levers. Nothing difficult but before I went at it, I had to decide if I wanted to do the “racer style” or clean look. The racer style, to me, seems more about brevity whereas the wrap simply goes around the base of the hoods. Quick and effective. The clean look is exactly that but it takes a little more finesse. After perfectly positioning your levers, securing the metal posts and hangers, then removing the levers so you can wrap the tape tightly around takes a bit longer and more attention to detail. But, it’s oh so clean looking. 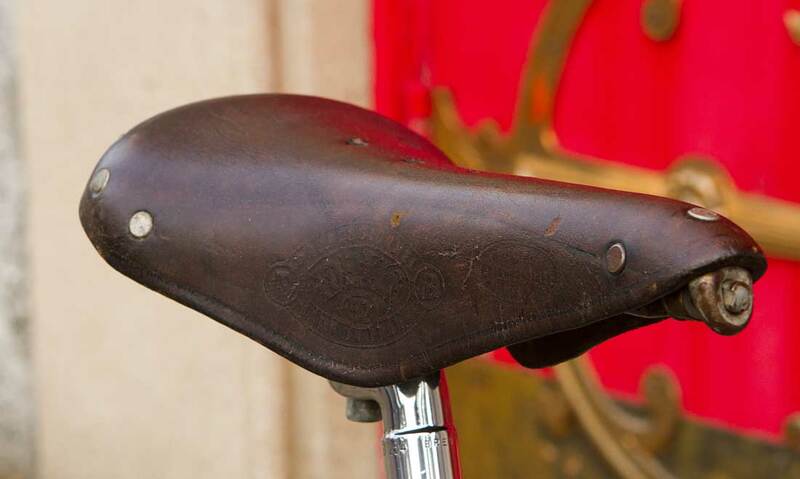 Most just want to get back on the saddle so I can understand how the racer method came about. As for the tape, I still wanted good texture and less shine from the Newbaums so it only received 2 coats of shellac whereas the twine and corks got 5 coats of shellac to seal them up tight. Details matter. Anchorage Brewing has a nice snowflake-like design of hops adorning their corks along with lovely barrel fermented beers in their bottles so using their corks was a no brainer. Sure, it’s far from a French Bordeaux but I believe the Urago craftsmen would still approve. 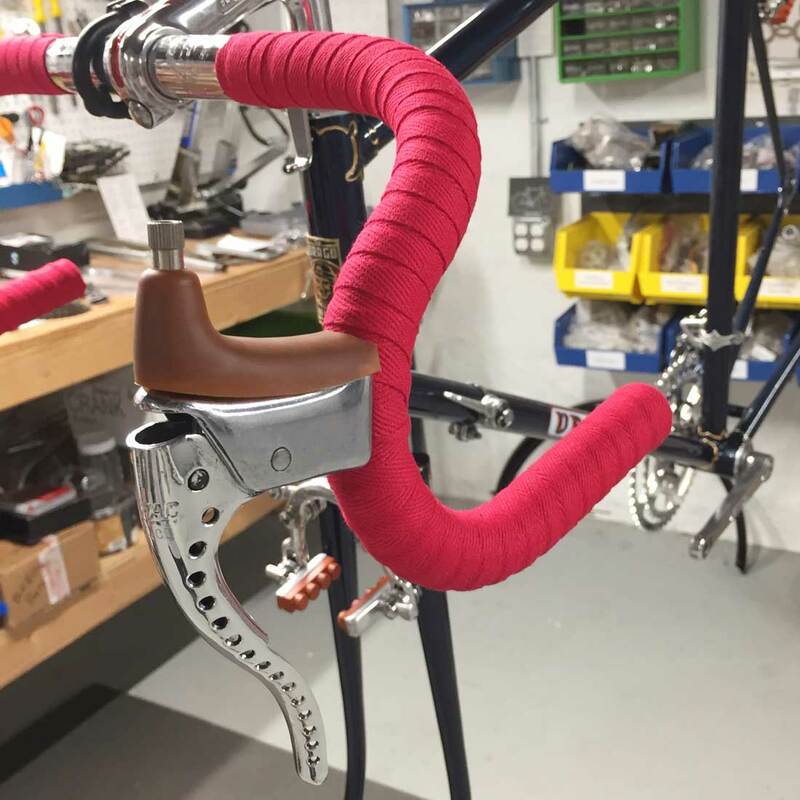 25.4mm seatposts aren’t typically the norm and finding a 1960’s French, 25.4mm that wasn’t a boring ‘ole aluminum post was tricky. I wanted to stay as French as possible but choices were limited. Time passed but luck eventually prevailed. 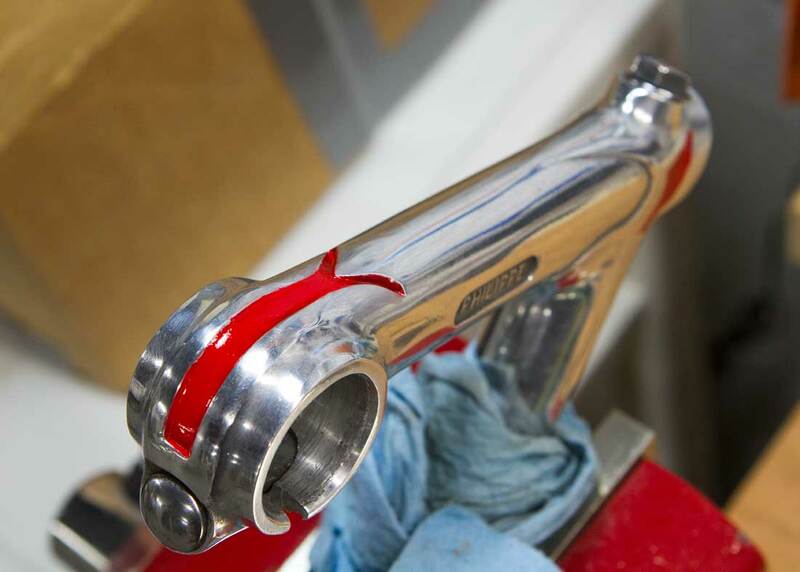 I acquired a Campagnolo San Marco GS which fit perfectly and polished up with a smooth, consistent and beautiful luster that only higher quality alloy can. 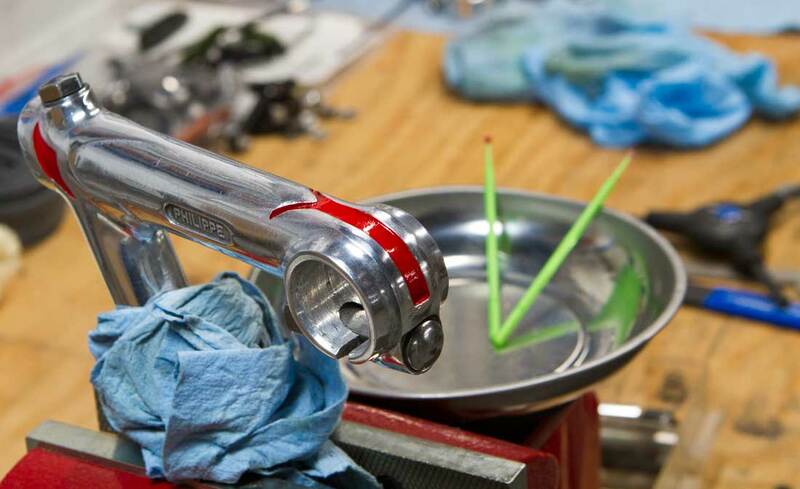 The drivetrain and shifters were Campagnolo as the bicycle was purchased. 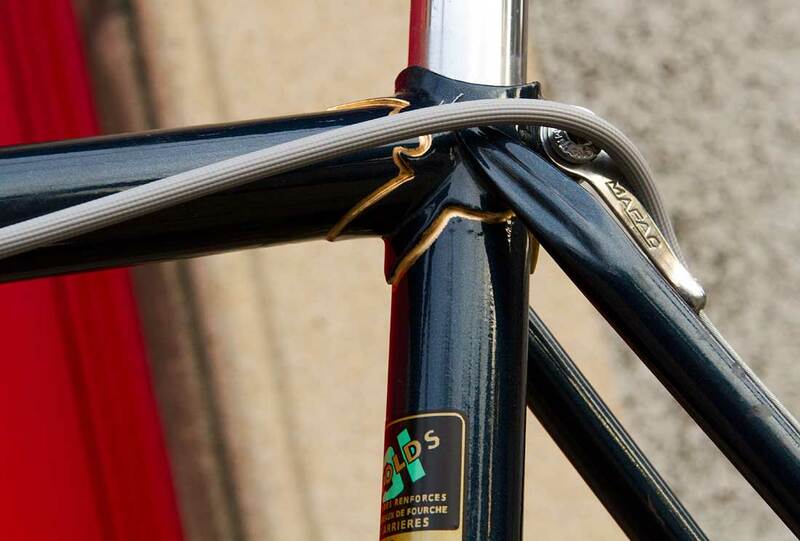 Since this was the defacto standard during that time, it didn’t bother me to bypass the French competitors of the day and extend the Campagnolo equipment to the seatpost too. The dark blue paint was done well but it needed just a little pop and the ornate, swooping, Nervex lugwork begged to be highlighted. I added gold lug lining for some regal flair. 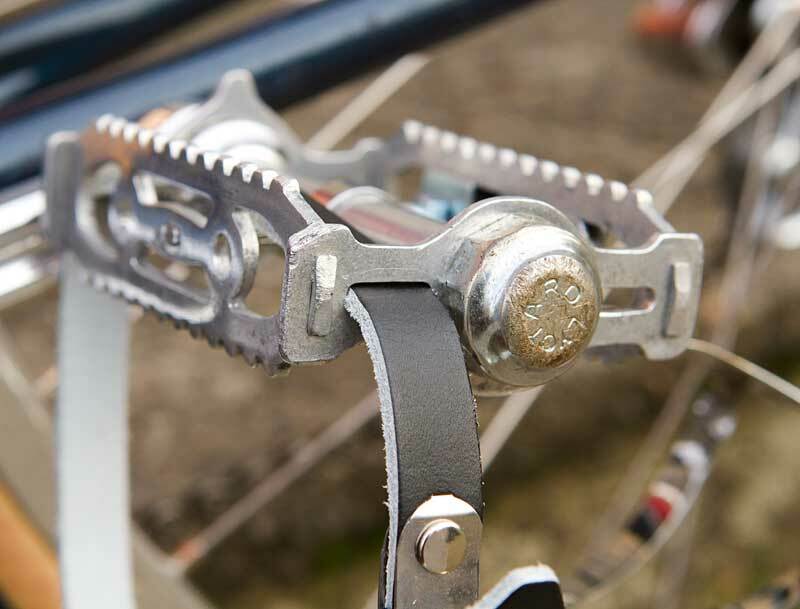 The sought after Stronglight cranks mated wonderfully with the Spécialités TA chainrings, as expected. But, with a small bit of alteration, the bolts can be upgraded. Why? Because, although TA chainrings are fantastic, the TA hardware is really of exceptionally poor quality. Nearly pot metal. Plus, they break frequently. Usually while one is 20+ miles from home. 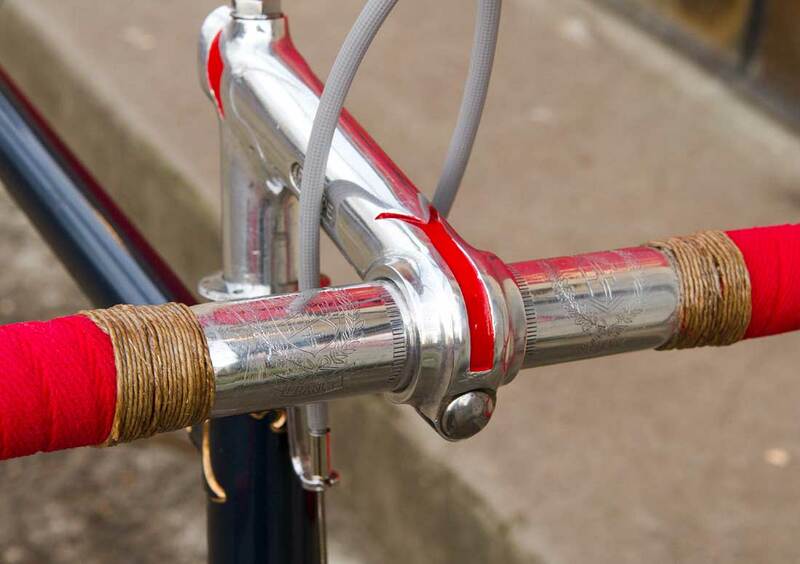 Nice, solid, robust bolts are available from Velo Orange made with chromed metal and love. Plus, the whole package just looks better. A highly recommended upgrade. What is shown in my images are a pair of modest and fairly standard 50 and 40 tooth TA chainrings. 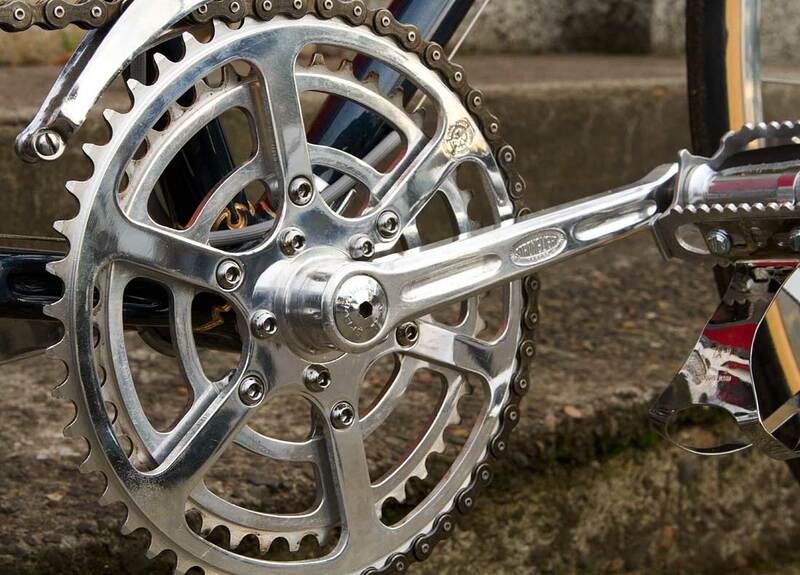 Originally, the Urago was mated with a monstrous 58 tooth TA chainring. The largest I had ever seen in person. When I asked the original owner about this oddity, he replied, “I went through a phase where going fast was more important than distance. I once hit 60+mph going down San Marcos Pass Road outside of Santa Barbara. I know the speed because I pulled up along side a car and look at their speedo. The driver was in visible shocked as I passed him. 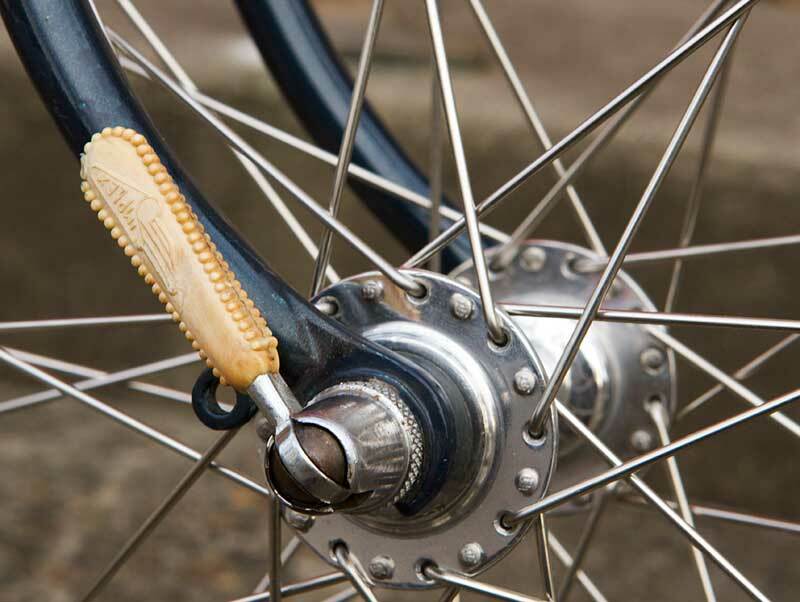 All this on sew-up tires. I also received two speeding tickets in Santa Barbara, going 35mph in a 25 zone.For the San Marcos run I had a 64 tooth chainring (64-13) so I needed the swingarm to pickup the slack. 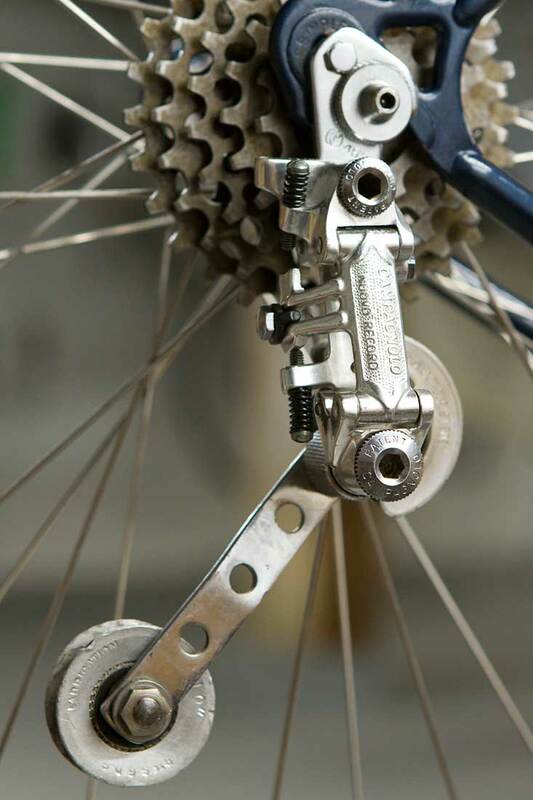 (I eventually removed and sold the 64)”.The “swingarm” comment segues perfectly into the rear derailleur. With such a massive chainring, a long cage derailleur was needed. 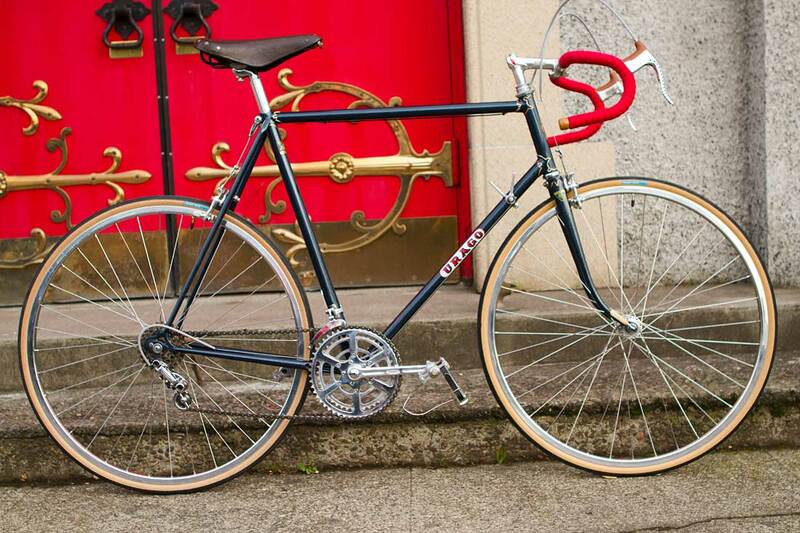 Being the owner was from California, he had access to the Cupertino Cyclery. 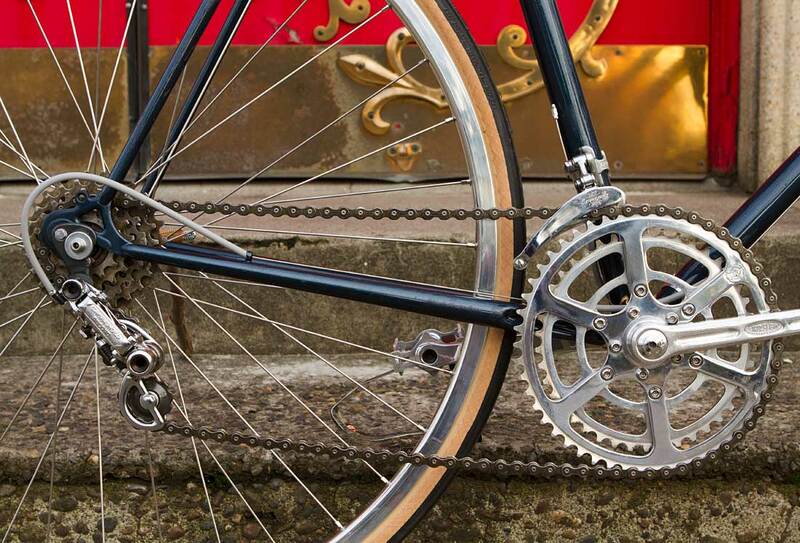 This is where he purchased a now legendary and fable-like Spence Wolfe long cage derailleur (pictured below). 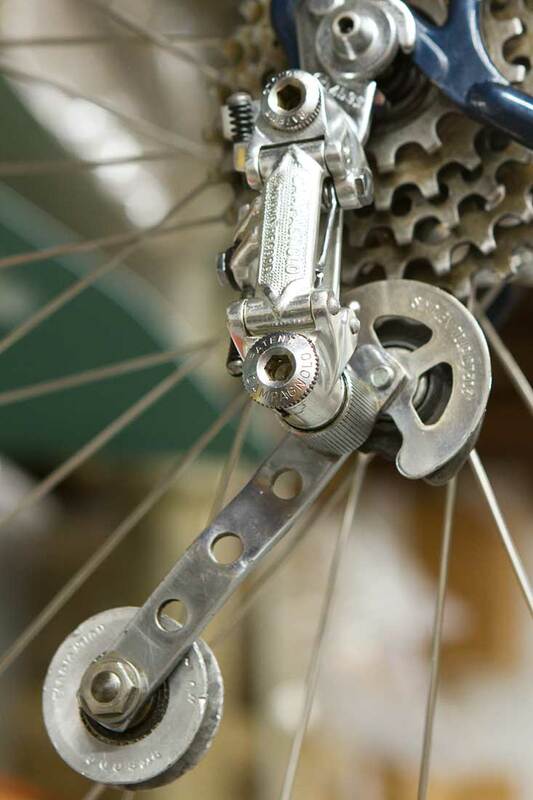 This type of derailleur was quite specialized and distinctive blending a Campagnolo Nuovo Record upper body with a Simplex Tourist 303 lower along with a long and hefty, chromed “arm” that tied them together. 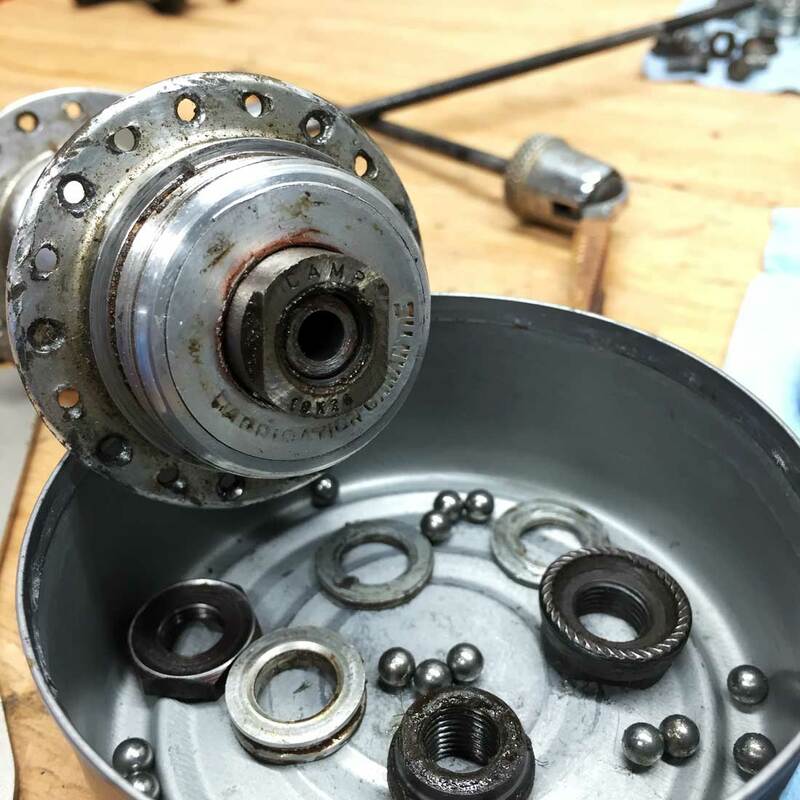 Although a unique and noteworthy piece of history, I swapped it out for a beautifully cast and period appropriate Campagnolo Record rear derailleur. 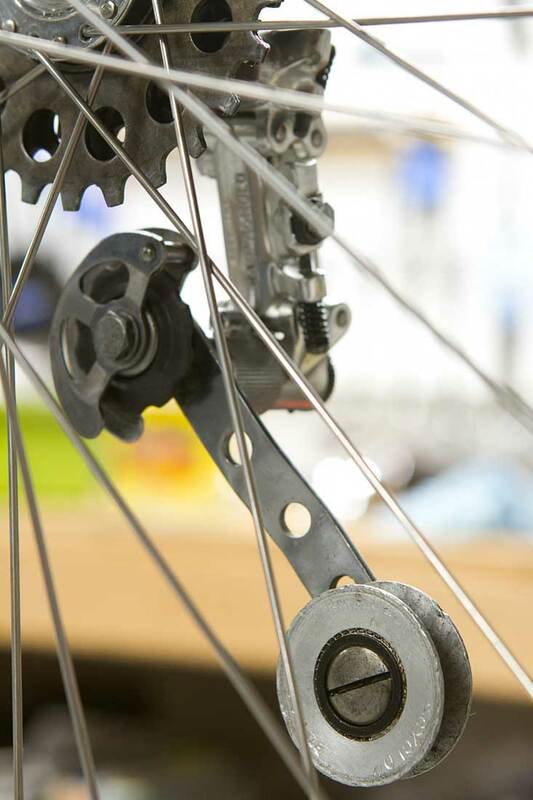 Only after substantial time with the Urago did I notice that the rear drivetrain dropout had been cut at some point. 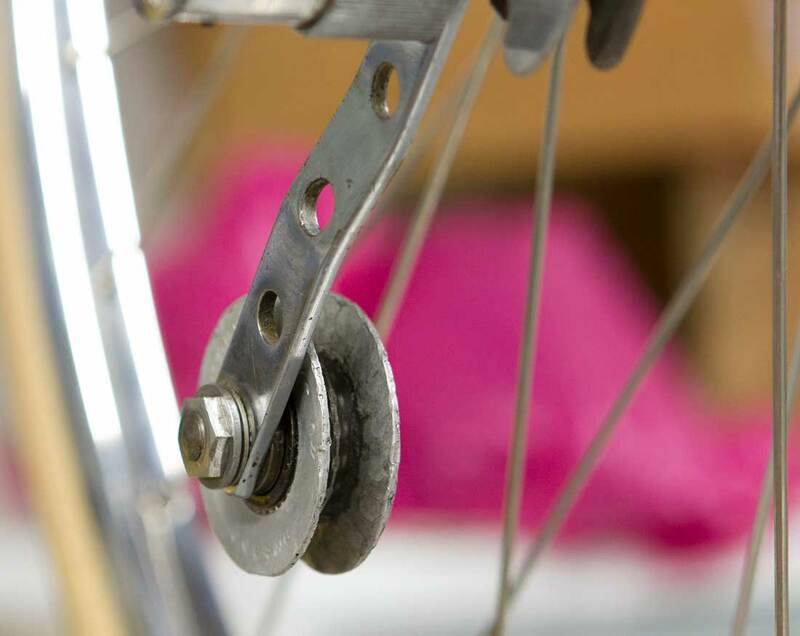 It is quite a shame that the removal happened as the way the dropouts were machined gave one perfect hand placement to slide the rear wheel into position using both forged ends as finger placement. With the snags out of the way, this left only a handful of updates left. 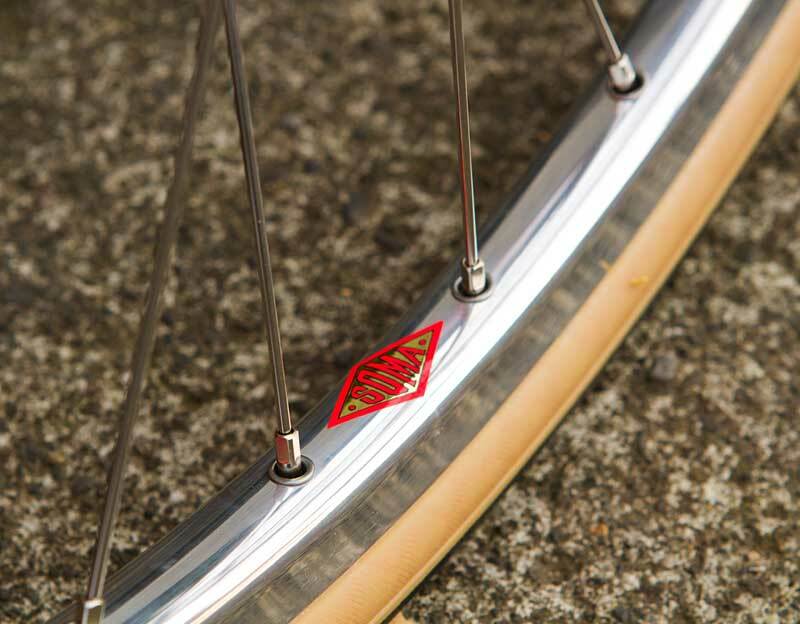 The original no-name alloy rims were replaced by a set of new handbuilt wheels. 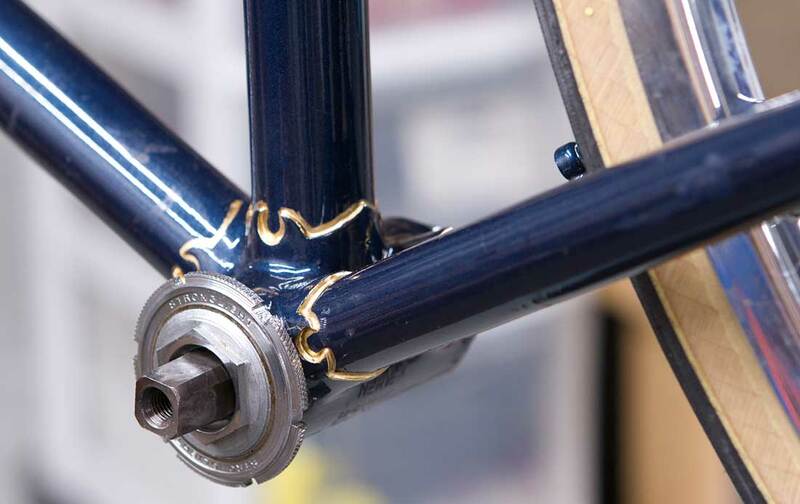 The original French Prior hubs were cleaned, polished and rebuilt then mated to modern rims by Soma that look, and perform, likely better than the no-name brand rims originally on the Urago. The Simplex skewers are painfully gorgeous with their imperfections and proper 60 year old patina. They have a wonderfully smooth open and close action on them with a large, textured nut on the non-ratcheting end that is a joy to hold while tightening the whole bundle up. 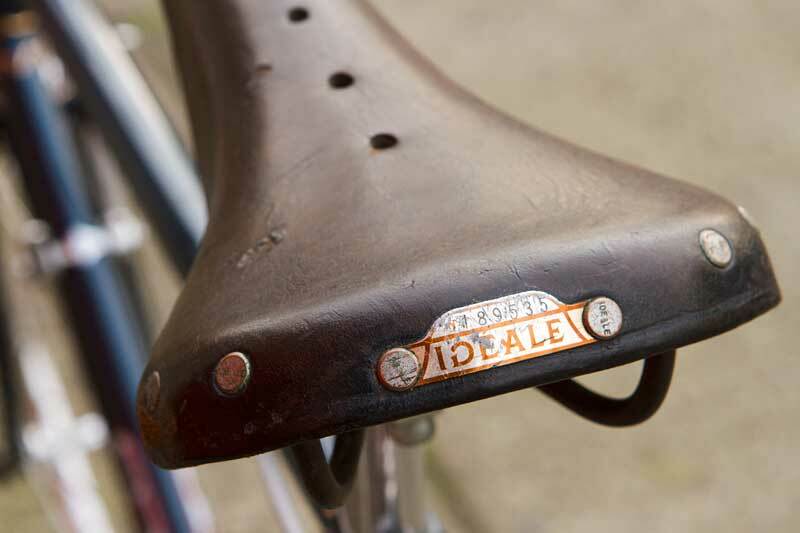 Both the Lyotard pedals, which were overhauled and spin like new, and Ideale saddle are original to the build. Both very French… and proud of it. This bicycle is currently for sale. 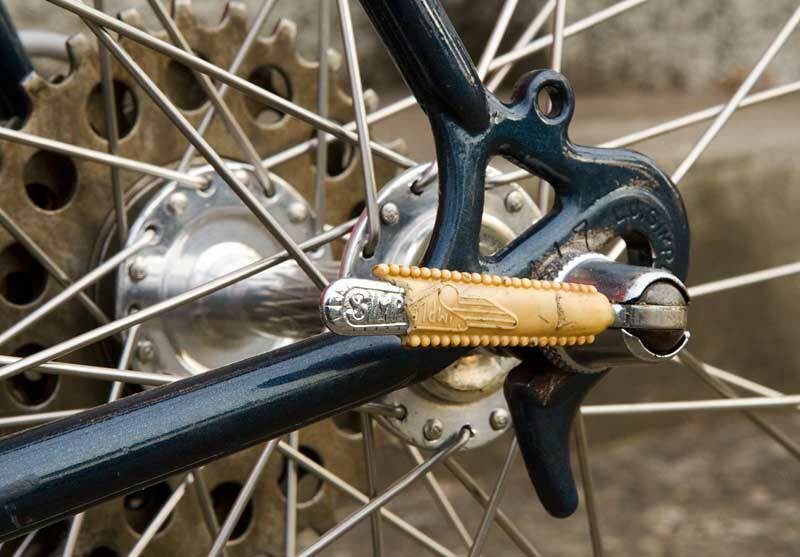 Interesting Project, especially with the French “challenges” My late 70s Moto GT has brake levers that mount that way with the bolt into the handlebar, unique. Looks like it came out beautifully as usual Josh. Thank you! You are too kind, Ryan. I downplayed quite a few of the challenges in my post but some had me a bit frustrated. As I was making my way through this project, I’d mutter to myself, “NEVER again will I buy another French bicycle”. 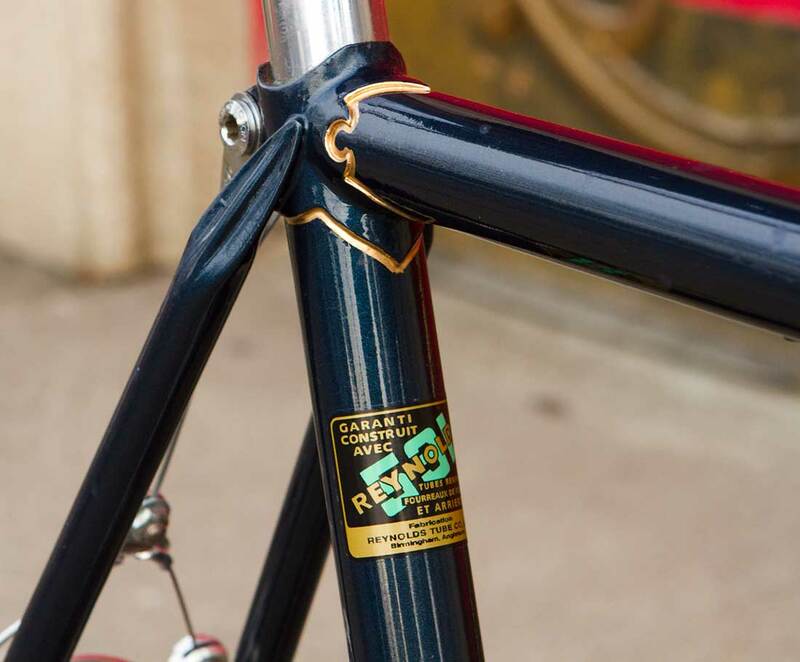 Then, well before I was even finished with the Urago, I ended up purchasing a 1950’s, hand-built French frame straight from a contact in France. So, the old adage of “never say never” certainly came full circle for me, rather quickly. That’s a very interesting and lovely machine. A fine restoration job! Regarding the cut dropouts: looks like the previous owner wanted to get rid of the Simplex dropout so that they could have other derailleur mounting options using a claw. Not such a bad thing. 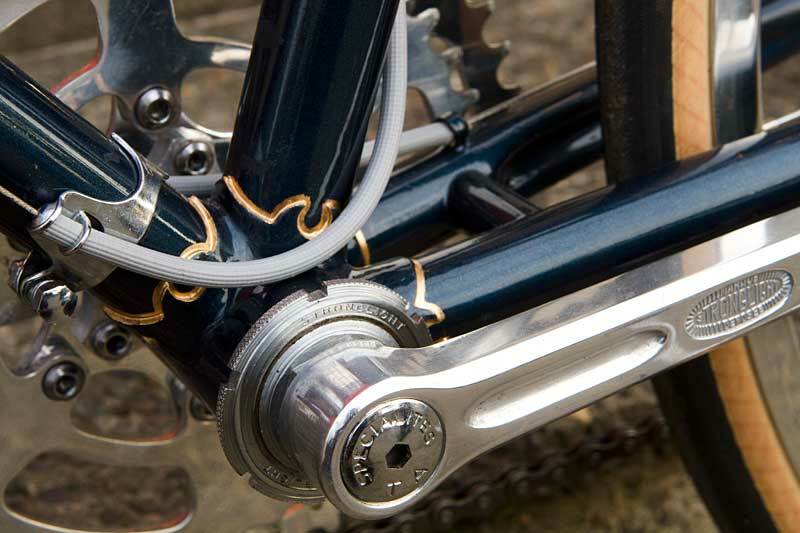 I kind of like that Spence-Wolf long cage derailleur – do you still have it? Thanks for the accolades, Nola! I’ve done a little investigation into the cut dropouts and yes, essentially, it did come down to mounting options. 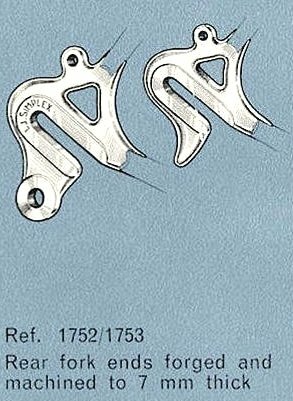 In Europe in the early 60’s there were 3 different styles of dropouts with integral derailleur hangers: Huret, Simplex and Campagnolo which by the mid 70’s became the de facto standard. 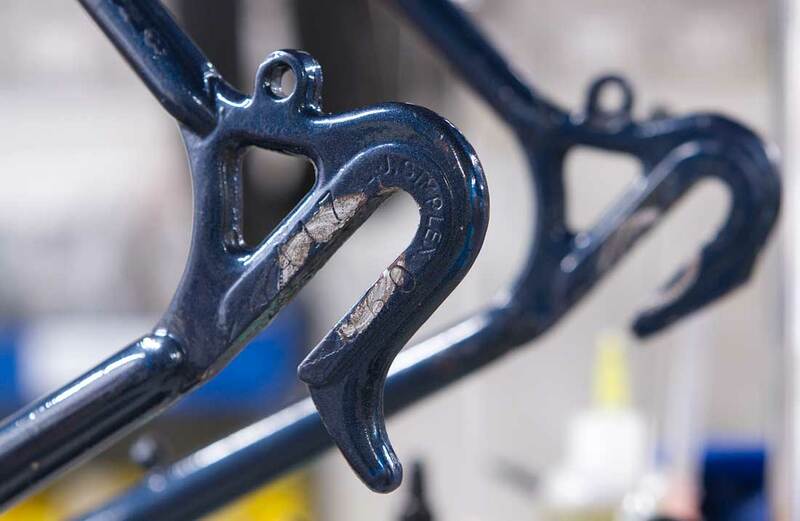 Huret and Simplex intentionally designed their dropouts to be incompatible with derailleurs made buy other manufacturers. The idea being that it would insure market share for their companies. As for the Spence Wolf, I ended up selling it to a collector as although it was unique, rare and interesting, I didn’t/don’t have any use for it now or in the distant future. Plus, I know it is already being put to good use whereas I would have kept it entombed in a plastic bag, resting with other derailleurs until I “discovered” it again a few years later. Likely, I’ll come to kick myself for letting it go but for now, it feels like it was the right thing to do. 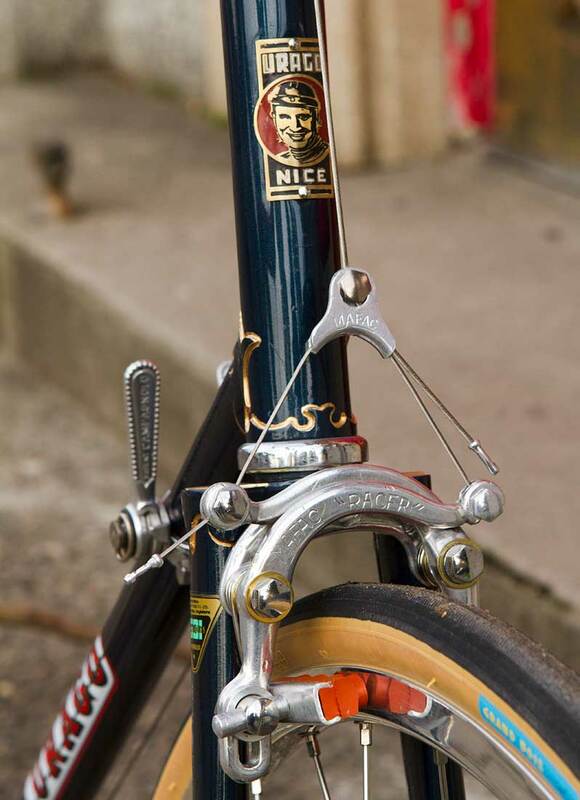 As I noted on Twitter, this bike is gorgeous. You do remarkable work. Thank you for sharing your story. Well done. I’d have a hard time parting with this one. I certainly appreciate such humbling comments! This one did take much longer than usual for a few reasons but it’s nice to have it buttoned up and ready to hit the asphalt again. I have a number of bikes and one can only ride so many in a season. Sadly, this one must go. But, at least now it’s ready for years of trouble free riding whereas before, it was far from road worthy. I’m excited to see who will get this one! 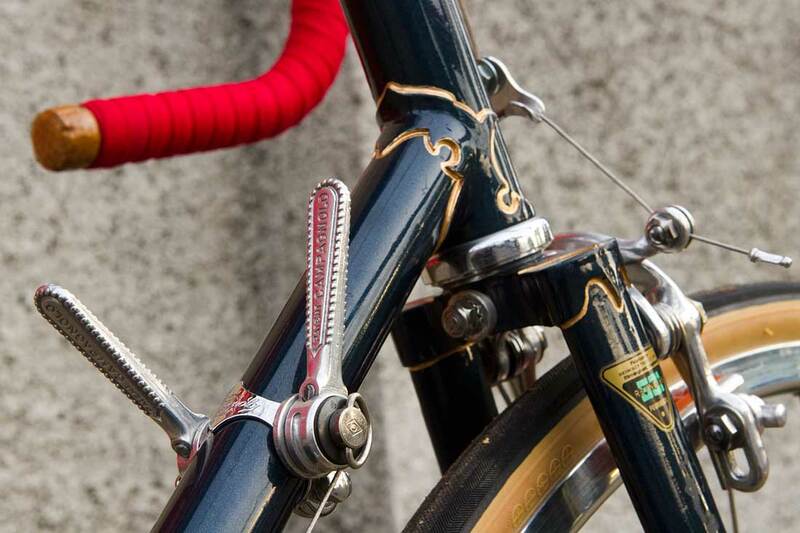 Josh great restoration on your French beauty….and the real beauty of old these old French bikes is their oddity! Makes for a fun challenge to the repairs and restorations correct. One thing I did notice is the missing delrin plastic mini wing nuts on the nut side of the Simplex quick releases. 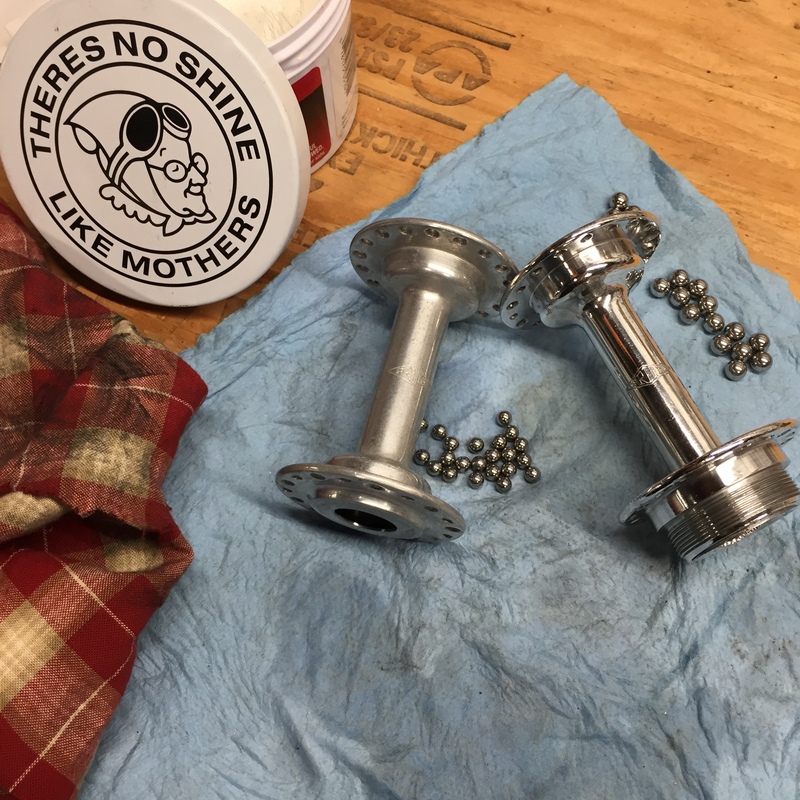 These fit over the steel nuts and thread on to the end of the skewer axle…..they assist in fine adjusting the thightness of the nut. Just an observation based on the same Simplex quick releases on my 69 PX-10e. Hey who did the the paint and decals? Original? Agreed, Kris. The challenge is the agony and ecstasy. And in the end, it’s usually blissful, especially once the kinks are worked out and the final product is ready to hit the road. And especially when you don’t have any nagging, back-of-the-mind thoughts that you took a shortcut or didn’t put a full effort in. I’ve learned it will eat at me day and night until I make it proper. So, no short cuts here! As you can see from the images, the rear skewer only has the metal, textured nut but the front skewer does have the plastic wing nut. Sadly, I don’t have any shots of it but I will have to give it a try and focus on the fine tuning aspect. 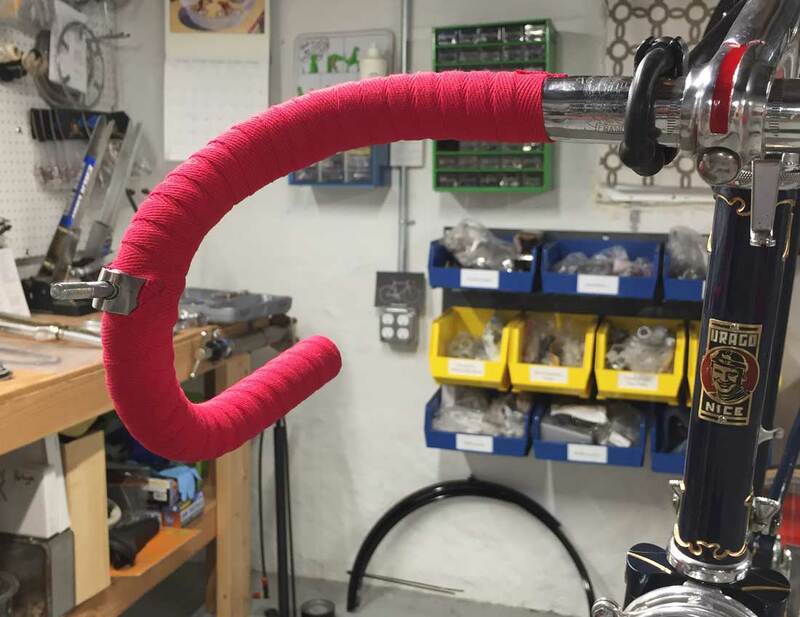 This entry was posted on January 22, 2019 by Josh C. in Cycling Projects, Topics and tagged 3D Printing, brass headbadge, Cupertino Cyclery, custom made bicycle headbadge, French hand built bike, Golden Age of Handbuilt Bicycles, head badge, Mafac Competition, Mafac Racer Brakes, Nervex, Nervex Professional lugs, Newbaums shellac, Pivo Stem, restoring French bicycles, Reynolds 531, Simplex dropouts, Simplex Tourist 303, Specialites TA, Spence Wolfe long cage derailleur, Touch up paint, Urago brothers, Urago race bicycle, Velo Orange, Vespa textured brake housing, vintage bicycle restoration, vintage bike replica headbadge, Vintage French Bicycle.